What Is A Disney Park Bag? My family tells me I use too much Disney jargon, so I want to make sure I am explaining myself well. A park bag is a bag (I use a backpack) where you carry all the items you need or might need during a day at the parks. Some people pack enough stuff that they could survive in the jungle for a week, but I don’t want to carry a huge, cumbersome bag all day. I prefer to carry a moderate amount of stuff, and if I have to cave and buy something at the park I will. What Should I Pack In My Disney Park Bag? What you carry in your park bag will vary by the members of your group and how old they are. 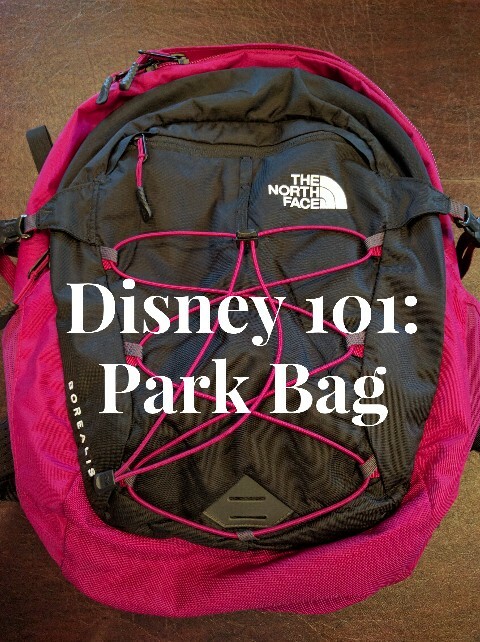 If you would like a printable version of my park bag packing list and my Disney World planning timeline subscribe to my email list. You’ll get a download link as soon as your subscription is confirmed. 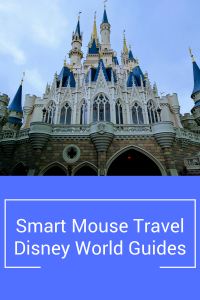 Are you looking for a full Disney World packing checklist or even how to pack light for Disney World? I can help with that, too. Anyone staying at an on-site Disney World resort receives a Magic Band. Your park tickets will usually be automatically linked to your reservation. If they don’t automatically link you may manually add the ticket via the My Disney Experience App or website. If you have traditional tickets make sure to keep them someplace safe. 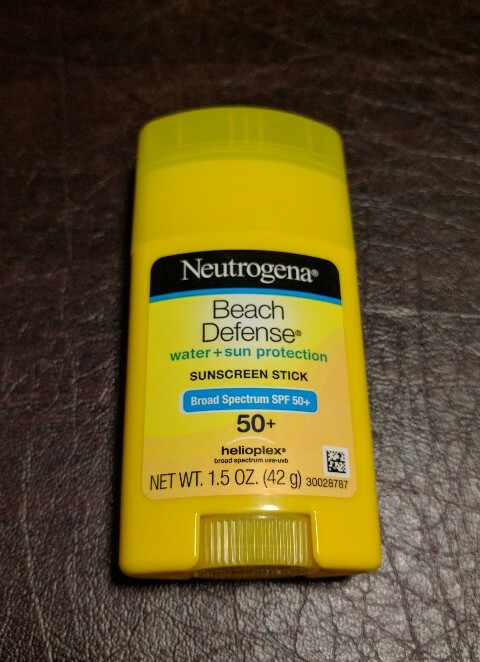 I usually buy the Neutrogena Beach Defense Sunscreen Stick (Affiliate Link: Buy on Amazon) This sunscreen works well for us and is super compact (about the size of a deodorant). Since it is a solid it also doesn’t count toward TSA liquid restrictions when we do a carry-on-only Disney trip. I bring an insulated thermos water bottle for each of us. It is amazing to have a cold sip of water in the middle of a hot and busy day. You can also request free ice water at the parks, but many people don’t like the taste of the tap water at Disney World. A Matador blanket is a super-thin, foldable blanket (affiliate link: buy the newer version of mine on Amazon). 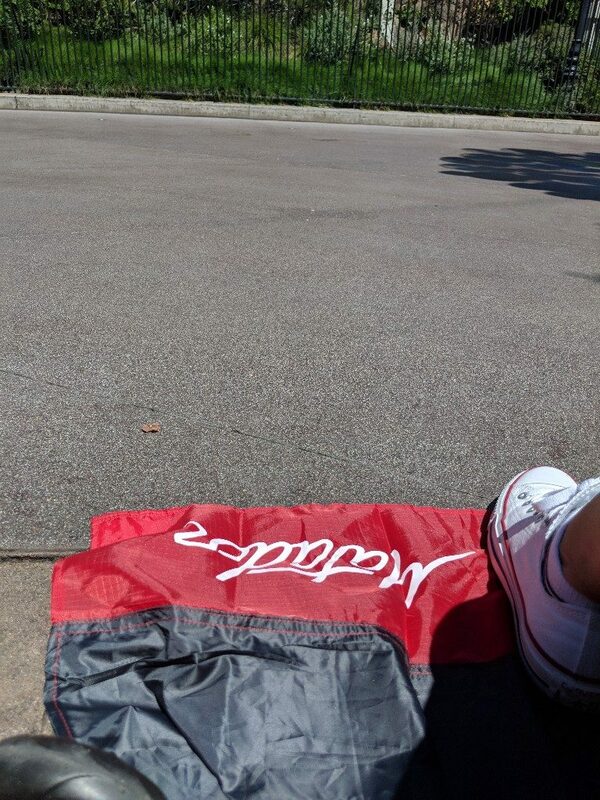 This blanket can help keep your seat dry if it has recently been raining or mark a viewing spot for a parade. Or if your child is already wearing a costume, some room to put it in the bag later when s/he suddenly hates wearing said costume. It is also a good idea to have some room for your ears in your park bag. This way they can be safely stored while riding certain attractions. We’ve had too many ears damaged by the velcro of the storage pockets on attractions snagging the fabric. As evening approaches or when you go into a restaurant you may find yourself or a member of your group is a little chilly. Because, well, Florida. If you are visiting Disneyland, it is less essential, but I still usually toss one poncho in the bag for each of us. Disney does a great job of spraying for mosquitoes, but I am usually the first person to be attacked. I recently found these easy-to-pack repellent wipes (affiliate link: buy it on Amazon). I prefer the click Sharpies (affiliate link:buy it on Amazon) when visiting Disney Parks better than the regular ones, because there is no lid to lose. The click Sharpies seem easier for the characters like Mickey, too. 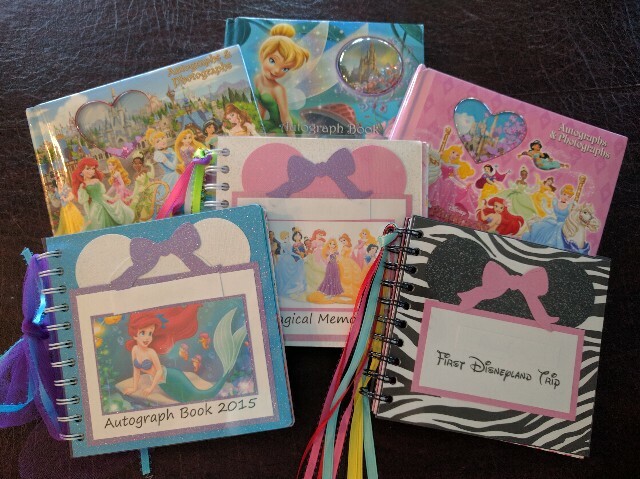 Here’s a link to the beautiful custom autograph books we always order. 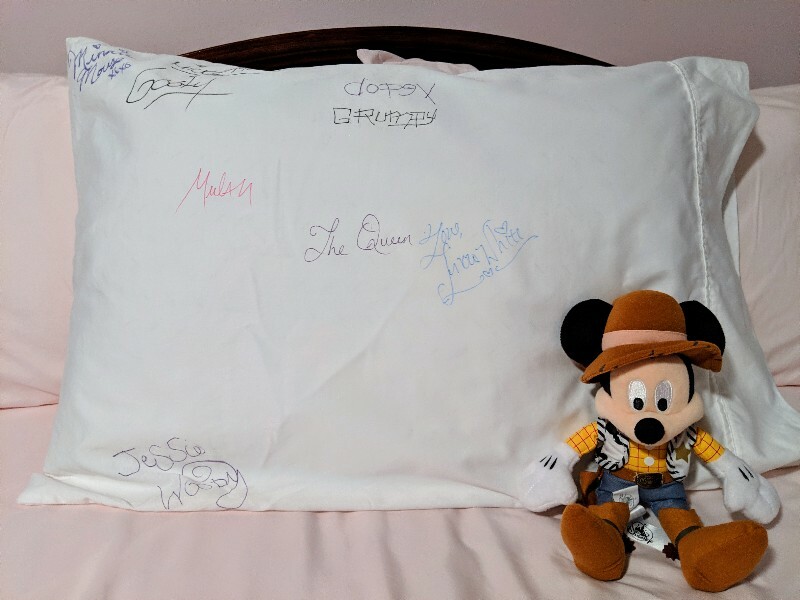 If you are looking for an autograph book alternative we have made a Disney Autograph Pillowcase souvenir. Check here for the full tutorial. An assortment of bandages is great for miscellaneous boo-boos and blisters. Hand sanitizer is usually fine, but sometimes you just want to wipe the yuck off of your hands, too. 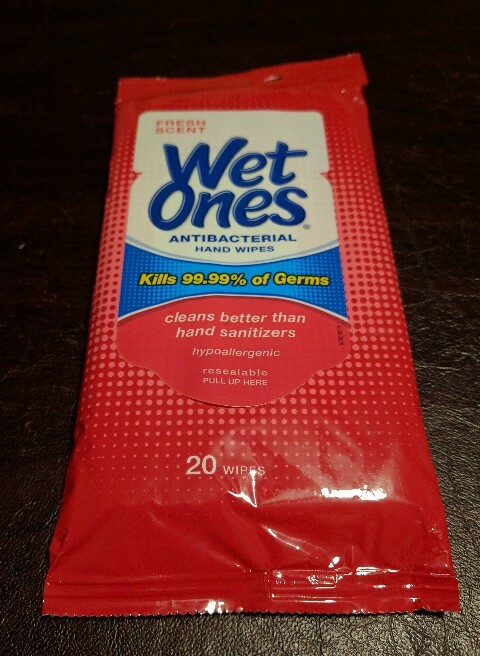 So to save space I just bring the wipes (affiliate link: buy it on Amazon). 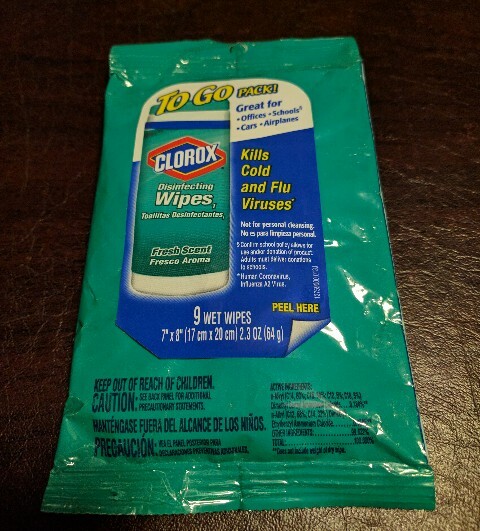 Clorox wipes are nice to have in case you need to wipe down a table to eat at a quick service restaurant or wipe down a high chair for a younger child. I began bringing Clorox wipes after Elizabeth got very sick at the end of a trip when she was 4 years old at Disney World. Clorox wipes and Wet Ones are always on hand in my Disney park bag. Here’s more information about what to do if you get sick at Disney World. Sometimes you just need a Kleenex and you don’t want to get out of line to grab tissues. I don’t usually pack anything for the adults in the group, but I make sure to pack allergy-safe snacks for Elizabeth. You are free to pack whatever snacks your crew would want. Find out more about dealing with food allergies at Disney Parks here. We have coloring items to pass the time while waiting for a parade or at a restaurant. I usually buy the $1 Grab & Go packs at Target. I usually buy packs of bracelets, necklaces, and wands at the dollar store. 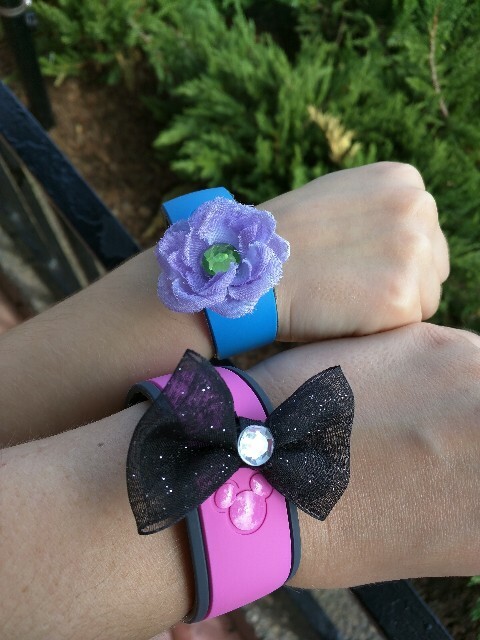 Buying glow items ahead of time at home is a lot less expensive than buying items at Disney. The glow bracelets also double as stroller markers at night (which is way more helpful than I ever imagined). These items can be found at the entrance to the park or on the official Disney World and Disneyland phone apps. Sometimes I want to save my battery or just want an old-fashioned map so I always grab a paper one as a backup. I have used the heck out of this Anker charger (affiliate link: buy it on Amazon) and still love it. Ziploc bags are handy to have in your Disney Park bag. They can be used to keep a phone dry on water rides or hold random stuff you accumulate at the park. Those traveling with younger children will need to pack some additional items. Find out more about our favorite toddler activities and our best tips for visiting Disney World with a toddler. Blanket or snuggle toy – For little ones that actually sleep in a stroller. You lucky ducks. Stroller cover – Much like a poncho, but for the stroller. This will save you from having a soaking wet stroller if rain starts when you are waiting for or on a ride. I usually use a cheap clear shower curtain and clothespin-type clips to hold plastic in place. This trick has saved us a few times. This has been my park bag packing list for several years now and (knock on wood) it has worked like a charm on our trips. Individual items will vary based on your group, but most of these essentials have been in my Disney park bag every trip for many years. Please note that your Disney Park bag will need to be inspected by Disney Parks security prior to entering the park. It is helpful to have your bag organized so it can be easily inspected. Next Post:Road Trip to Disneyland: Vegas! Thank you for this insight! Not only this post but others were very helpful! We had a great time at Disney. We also brought in flavor packets for our water bottles. Disney’s water tastes gross. The flavor packets helped mask the taste. You are brilliant. The water DOES taste gross. does it really help the taste? We buy a flat of water before we get to the hotel and I fill my camelbak (my backpack is camelbak brand of that wasn’t clear) with the bottled water and ice from the hotel. Where they ok with ice water coming in ? We’ve never had a issue bringing water or any plastic bottled or canned (non-alcoholic) beverage into the parks. Hi! Great advice! Do you know which backpack is in your picture? I love it! Thank you! The backpack pictured in the article is my North Face Women’s Borealis. I alternate between that one and my North Face Women’s Isabella backpack. Do you think a stroller is needed for a 5 year old? We walk an average of 6 to 9 miles a day when we are at Disney World. I brought a stroller for my daughter until she was 7 years old. 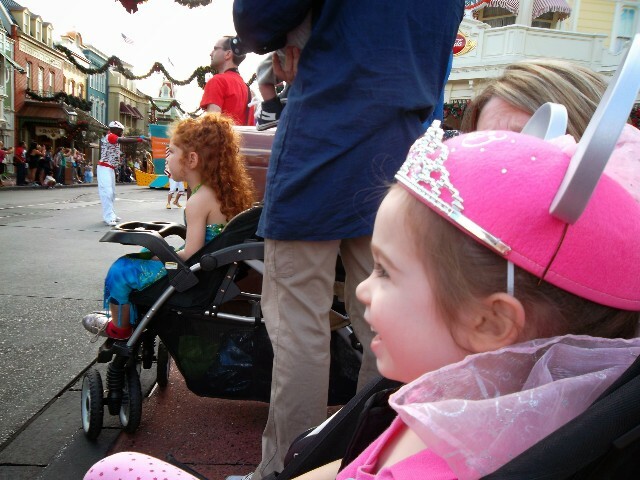 It is quite common for kids that don’t normally use a stroller to need one at the parks because there is so much walking per day. Hi How in the universe did you ever get to see your Characters/ go onto rides? Hi Carinna. 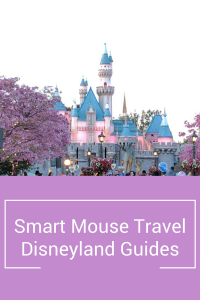 We are able to see a lot of characters and ride many attractions through careful use of FastPasses, monitoring wait times using the My Disney Experience app (for Disney World) or the Disneyland app (for California), and good luck. I bring my own sunscreen to the park so I am not sure where to get the ultra-high SPF you asked about in another comment. Can you take the backpack on rides? I m going soon and wonder what to do with it. Yes, at Disney you can bring your bag on the rides with you. Usually they can be placed at your feet within the ride vehicle. Great bag info! I can add 3 things from our times at Disneyland and World… if you don’t have a thermos and bring water bottles instead don’t pitch them when they’re empty since you can go into any cafeteria style restaurant and get water from the soda dispensers without paying to eat there. Also, if you lose a small item on a ride: sun glasses, visors, lenses caps, etc. don’t give up thinking they wouldn’t have found yours yet. Go to lost and found anyway since they have many boxes of those small items left by others days or weeks before. You might fine an item just like yours. Last, I often bring a change of shoes. It makes the later walking a little easier when I really need it. I bring a small plastic tube (from drink pellets like Nuun) filled with quarters and pennies for the penny press machines. I let each kid decorate their tube with stickers and washi. Great ideas, we pack pbj sandwiches to help with lunch hungers. Also as for big repellent that’s not necessary. The parks have certain plants and other measures to reduce that issue. 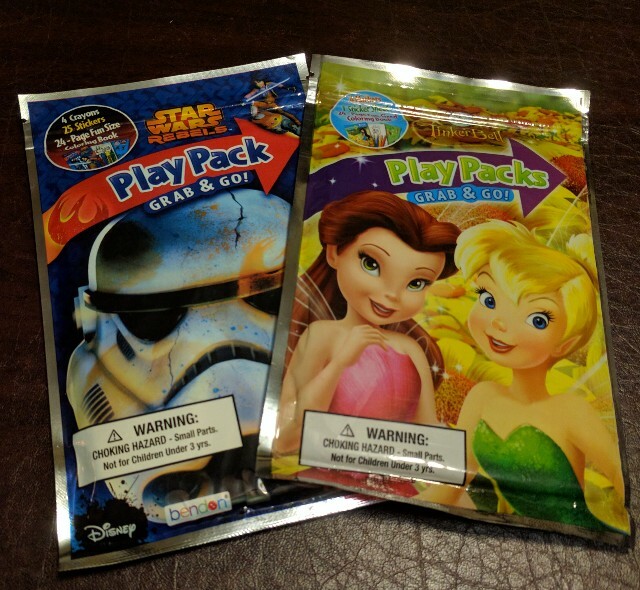 Also we take in large camel packs to help with drinks with water additives for flavor. No glass containers or rolling coolers, but other than that I have never seen security give people a hard time about snacks or drinks. We’ve have a cloudwalker camelbak that we’ve used as our Disney bag for 3 years now. Security has never given us a hard time ever. I usually separate my kids food in large baggies and throw away containers. So when I need it I pull it out , when I’m done I throw it all in the trash. So your not carrying around dirty stuff. Baby powder!! We just got back from Disney about week ago and it was so hot! My sons legs got chaffed from rubbing, he was so uncomfortable and skipped out on a couple rides because of that. Needless to say we had baby powder everyday after! And he was much happier after that! Cooling towels! The ones you wet, wring out, and snap! Put them around the back of your neck to help keep you cool. Bring a backpack that has some sturdy loops and purchase a D-ring for it. Those are ever so handy to loop plastic gift bags, small blankets that are wrapped with velcro or a ribbon, or cups (with handles) when not in use. Bonus if it’s big enough to loop around your stroller handle. I even found one that has a tiny flashlight on it. This is good late at night for checking parade maps when your phone has died, or illuminating your room key hole at the end of a well spent day! Thank you for all these tips!! You’re welcome! I hope you have a great trip. Carabiners and those giant mommy hooks worked wonders for us! We had a double stroller so it was nice to just clip stuff to it! Also those bottle leashes were great for my kids’ insulated bottles and the water bottle sprayer fans (which we got much cheaper at Walmart or dollar store!) since my 2 and 3yr olds still liked to pitch stuff over the side!